The boat,the voyage and the skipper. – Dirty wet dog , boats and sailing. The boat,the voyage and the skipper. Now that i just about have the ability to shoot basic video i thought i would make the boat , the voyage and the driver my first film subject, Dylan asked me to do a boat tour so i will try and get some interior shots too and then do a full boat tour in a later video when i begin to get an idea of how to do this. I shot this in the Fowey river above Golant after i had dried out overnight, as you can see and hear it was a cold grey and breezey morning but a whole lot of fun to splash around in the shallow water. Don’t worry i can see and hear just about every beginner mistake in the filming, the editing, the sound and so on….but i had to start somewhere ! Next How small, how simple ? Subscribed over on YT. Looking forward to your voyage. Thanks for taking the time to make and share the video. Its prety rough even for a first effort (makes me cringe) but thanks. Great effort, much enjoyed on a cold, dank day near lake Ontario. 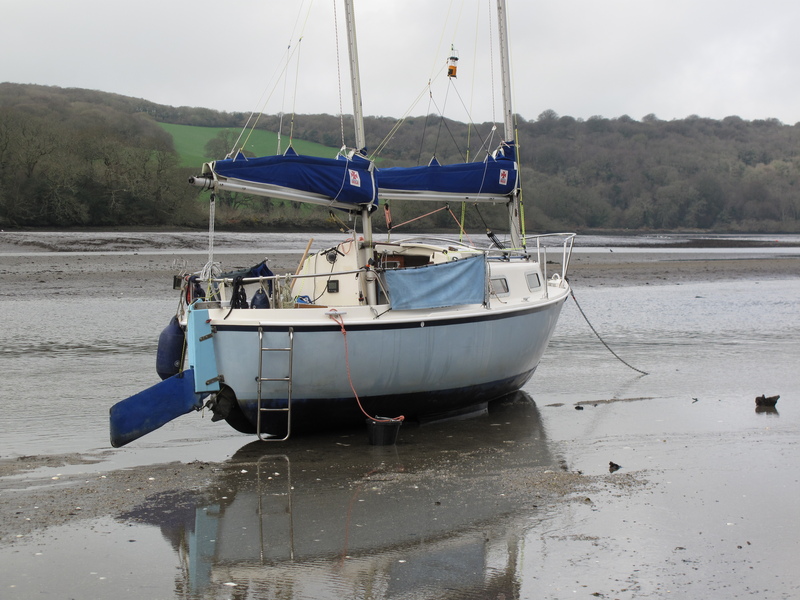 Thankyou…it was a pretty cold morning in the Fowey river too.